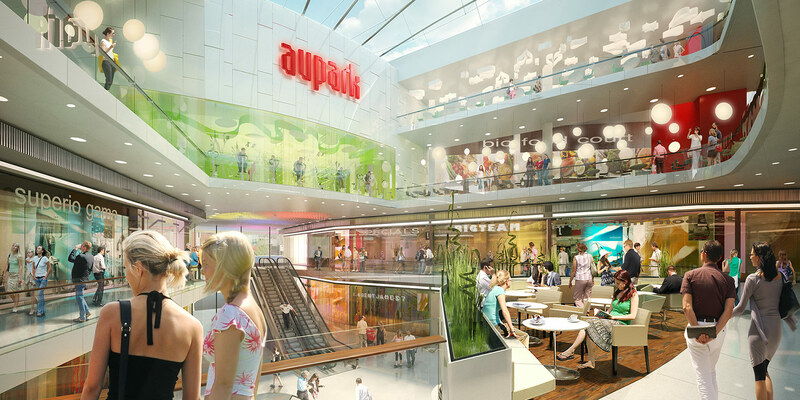 Aupark shopping mall | Fandament. 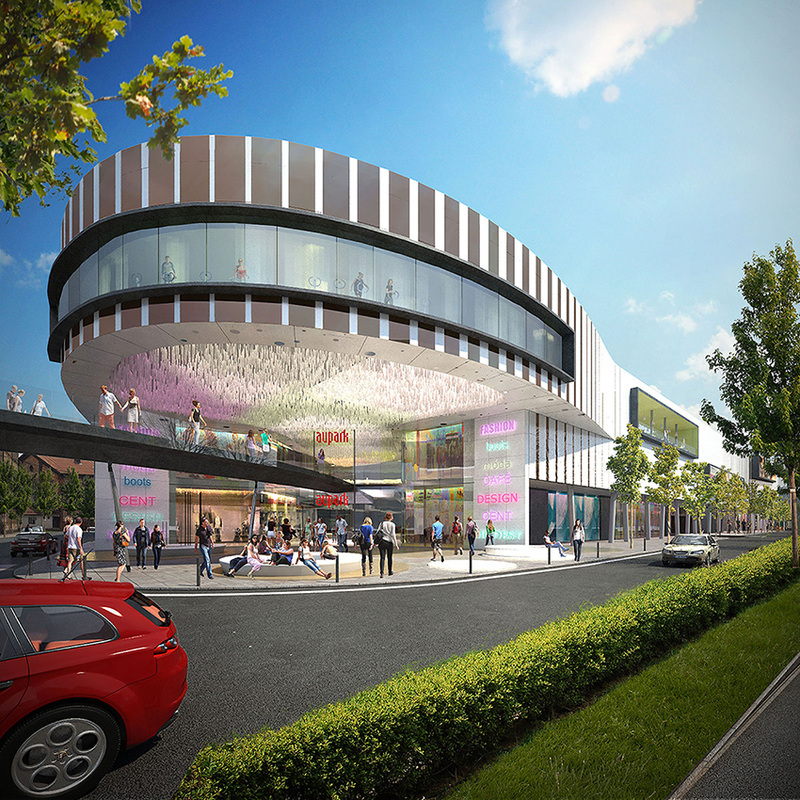 A shopping mall is coming to a new development zone of the South Centre in Brno. 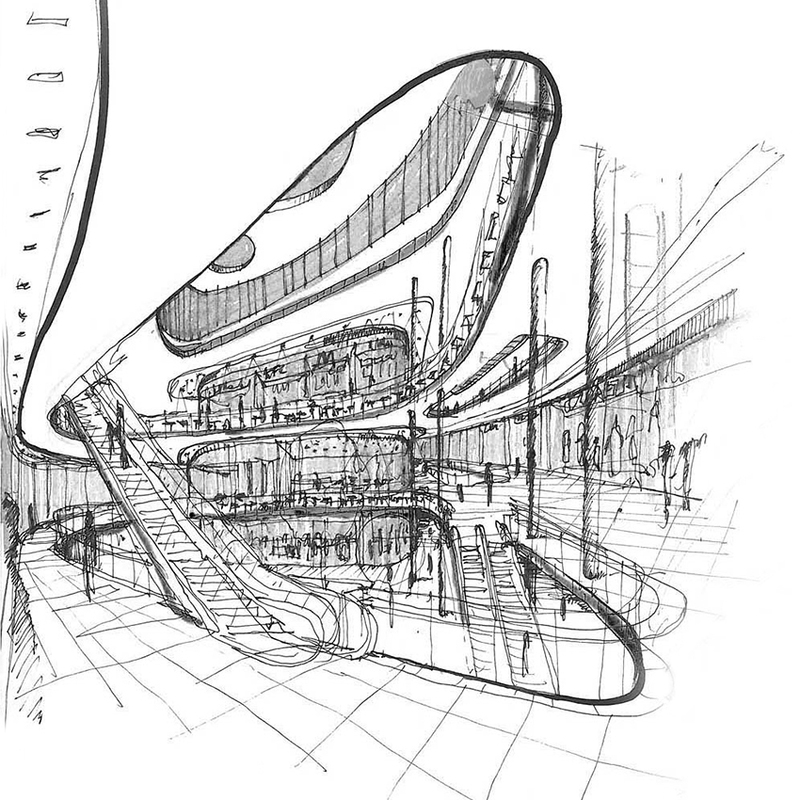 We are coming with a design that co-shapes the city and creates a place full of life. 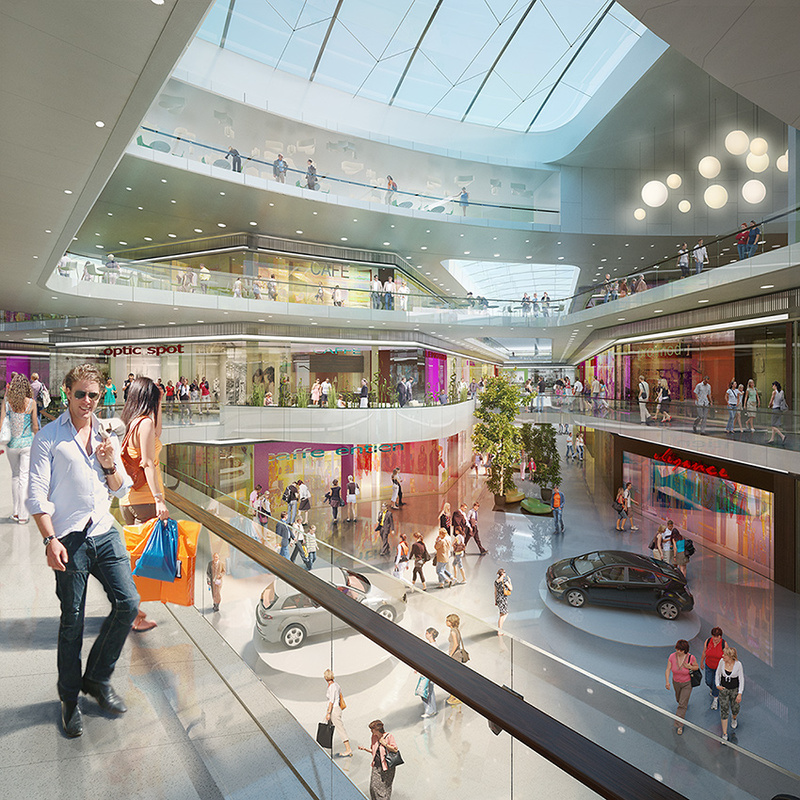 A system of look-throughs and foot bridges spanning the individual levels gives the mall a vertical look.